A pictogram-based counselling pamphlet for pharmacists in India for HIV-TB co-infection and treatment was developed. Pictograms have been shown to improve health literacy and adherence by increasing retention and comprehension of health information, especially in persons with lower levels of literacy. The development of the draft pictogram pamphlet for HIV-TB treatment was based on semiology and adaptation of existing pictograms and incorporation of key counselling points identified in a literature review. A total of 103 articles were reviewed and 21 (n=9 for HIV; n=12 for TB) were identified as applicable to pharmacist counselling and were used in the development of key counselling points. 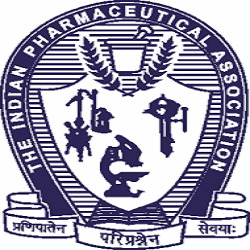 Of the 22 pictograms in the draft pamphlet, n=5 were redesigned based on existing pictograms, n=11 were based on semiotic analysis of existing pictograms, n=5 were based on semiology of a web-based image search, and n=1 was developed in consultation with Indian pharmacists. The future goal is to validate the pictogram pamphlet as there is a scarcity and oversimplification of validated pictograms targeted to counselling patients with HIV-TB. Although validation of more complicated pictograms in a low-literacy population may be challenging, the aim of pictograms is to enhance recall and deliver the pictogram information in combination with verbal instruction in order to improve adherence and patient outcomes.